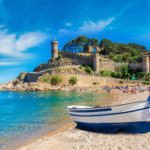 Tossa de Mar is far more than an iconic destination on the Costa Brava: it’s also one of the most beautiful villages you can visit in Catalonia. You will appreciate the charm of the old ramparts. The village is also ideal if you are searching for beautiful beaches and coves where you can swim in Spain! 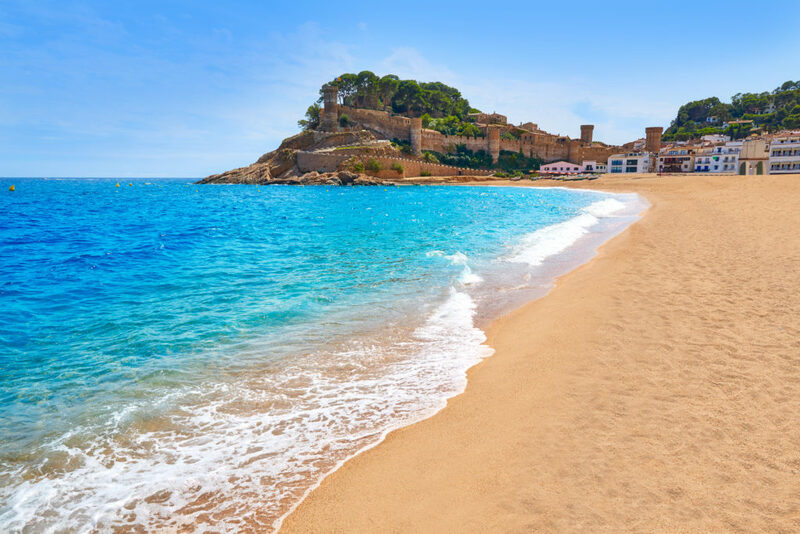 Discover five idyllic beaches in Tossa de Mar! “Platja” and “Cala”: what is the difference? Let’s start with a small aspect of Spanish vocabulary! During your research and in this very article, you will hear both “platjas” and “calas” being mentioned. If you want to know (let’s say the) difference(s) between these two terms, let us help you. “Platja” is Catalan for ‘beach’: a large expanse of sand that borders the sea. As to “cala”, this refers to coves or more precisely rocky inlets, like you see in other parts of the Mediterranean. It’s up to you to choose between large expanses of beach, very busy in the high season and the more intimate, often rocky coves of the Costa Brava. If you come to Tossa de Mar with children,the “platjas” are more suitable. 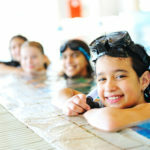 They offer a variety of services and amenities that will appeal to families. Going for a swim in Tossa de Mar. The town of Tossa has a lot to offer in terms of bathing places. With nearly 20 beaches situated in the town or just outside, you’ll be spoiled for choice! For a complete list of beaches in Tossa de Mar, follow this link. Thanks to the Mediterranean climate, mild, sunny and hot in summer, you can enjoy the beach and the seato the full. Amidst sublime places where the smell of pine trees tickles your nostrils, allow yourself to be seduced by the hot sand and the azure sea. The thing that makes Tossa de Mar unique is that many beaches and coves have views of the ramparts of the old town. If you are looking for extraordinary beaches in Catalonia and out of season bathing, Tossa de Mar is the place for you! 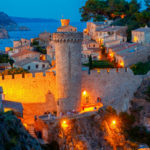 Is Tossa de Mar you next holiday destination? Enjoy swimming all day long by renting a villa with a swimming pool! Take a look at the villas for rent in Tossa de Mar! 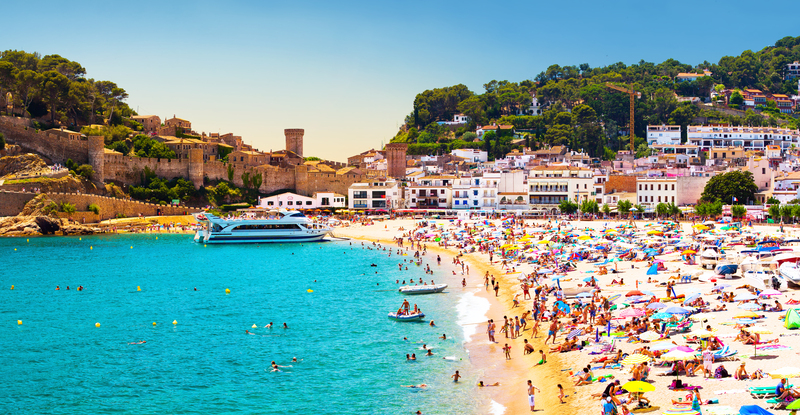 Out of all of the coves and beaches of Tossa de Mar, we have compiled our own top 5! 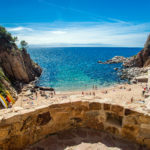 With your family or friends, in search of a beach with all the mod cons or rather a wild and rugged beach, find the perfect place to take a dip in the sea on the Costa Brava! There is no lack of beaches on the Costa Brava: do not hesitate to take a walk along the coast in search of other beaches. In Lloret de Mar, there are pretty coves, such as Cala Treumal. Located next to Santa Cristina beach, it’s well worth a visit!